Fernando Zumbado, Former Housing Minister, Provides Key Statements About Costa Rica Corruption for CAFTA Case. "The complexity of the permitting process creates opportunities for corrupt individuals to seek to extract bribes from unwitting developers. Fernando Zumbado"
LOS ANGELES, CA, UNITED STATES, January 10, 2018 /EINPresswire.com/ -- Corruption has been going on in Costa Rica for years. Former Costa Rica Presidents have been charged with Crimes and sent to Prison. Former Costa Rican president Rafael Angel Calderon was sent to prison for nine months in 2001 for corruption. Former Costa Rican President Miguel Angel Rodriguez, was put under house arrest for bribery involving a $550,000 bribe for telecommunications contract. A recently scandal was the BCR bank robbery were corrupt officials made unsecured loans for 30 plus million-dollars to buy cement from China that was never purchased. Many were arrested and fired, but none sent to prison. According to David Aven CAFTA testimony, Mr. Luis Martinez was a criminal prosecutor that went rouge. He refused to comply with SETENA resolutions and Government reports all stating there was no wetland on the Las Olas site. Mr. Martinez refused to accept objective evidence from Government, instead he told Mr. Aven he didn’t belive those reports. 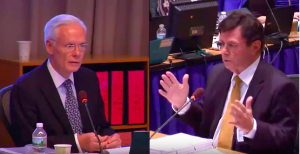 Mr. Aven told the arbitration panel that Mr. Martinez corruption was responsible for the destruction of the US Investment in the Las Olas project. Mr. Aven also stated that another corrupt Government official responsible for that destruction of their Investment was Mr. Luis Picardo, director of the MINAE who was accused of conspiring with Mr. Martinez to illegally shut down the project. According to submissions statements, the project was shut down because the US Investors wouldn’t pay a bribe to MINAE. According to Mr. Aven, he gave a copy of the recording of an attempted bribery to Mr. Zumbado and he heard it. 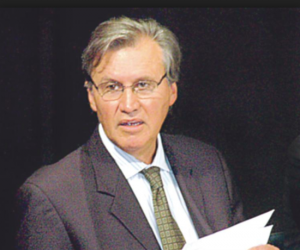 Mr. Fernando Zumbado, former Costa Rica Housing Minister, was falsely charged with a crime in 2008, to keep him running for President. Mr. Zumbado was a career public servant, two-time housing minister, Costa Rica’s UN Representative, Costa Rica’s Ambassador to the US, and Assistant Secretary General for the United Nations. He said the following in his witness statement prepared for the CAFTA Case. His statement is posted on our website. “As a result of my own experience, my impression of the criminal justice system is one of subjectivity and mediocrity. It’s a system in which I no longer have any confidence”. I first became aware of the Las Olas project and Mr. Aven through a mutual good friend of mine in 2005, before I was appointed housing minister in 2006. “Mr. Aven initially talked to me in 2007 about the possibility of building some affordable social housing, alongside the private development that was proposed at Las Olas. END OF MR. ZUMBADO’S STATEMENT. Mr. Zumbado wasn't called for cross-examination by Costa Rica, and the US Investors were prohibited from calling him. However, his witness statement went without objection or contradicted by any Costa Rica Attorney, witnesses or in Costa Rica submissions. Therefore, all of Mr. Zumbado statements were accepted as true and correct. Costa Rica failed to get witness statements from MINAE, SETENA, SINAC, TAA, MUNICIPALITY and INTA. All of those relevant agencies had direct dealings with the Las Olas development Project, yet none were called upon to provide evidence or testimony. That has to speak loud and clear to everyone! The old saying, "Actions speak louder than words", surely applies here! The only statements Costa Rica got were from low level Government bureaucrats that had little knowledge of the facts. "The one exception being Mr. Luis Martinez, who gave his witness statement and appeared for cross-examination at the CAFTA hearing".